There is much joy in having children and raising them but as you may all know, it's not always a smooth journey. Some journeys are rougher than others. One way or another, your child will test your patience. If you are a parent then this is your test. It may be that you have a great relationship with your lovable child and then suddenly Allah takes her away. At the other end, it may be that you have a conflicting relationship with your child every day and it seems like there's no end. Or your relationship with your child could be anywhere in between these two. No matter what the situation with your child is, know that it's a test. 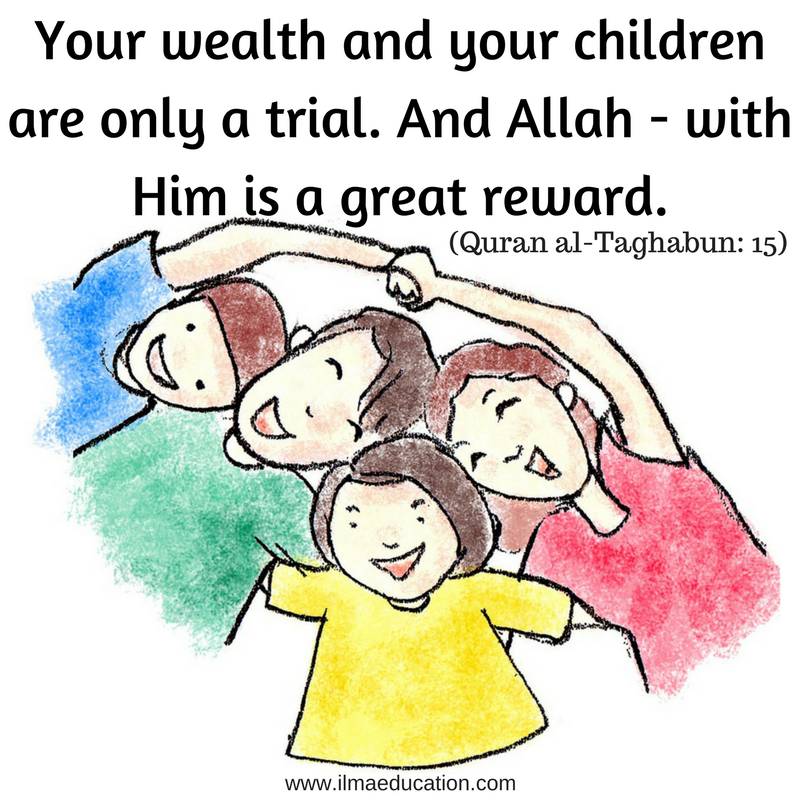 Each time that you adore your child, do you give thanks to Allah? Each time that you are upset with your child, are you being patient? The Prophet, peace be upon him, said, “How wonderful is the affair of the believer, for his affairs are all good, and this applies to no one but the believer. If something good happens to him, he is thankful for it and that is good for him. If something bad happens to him, he bears it with patience and that is good for him.” (Narrated by Muslim). As with all tests you have to have patience to pass. 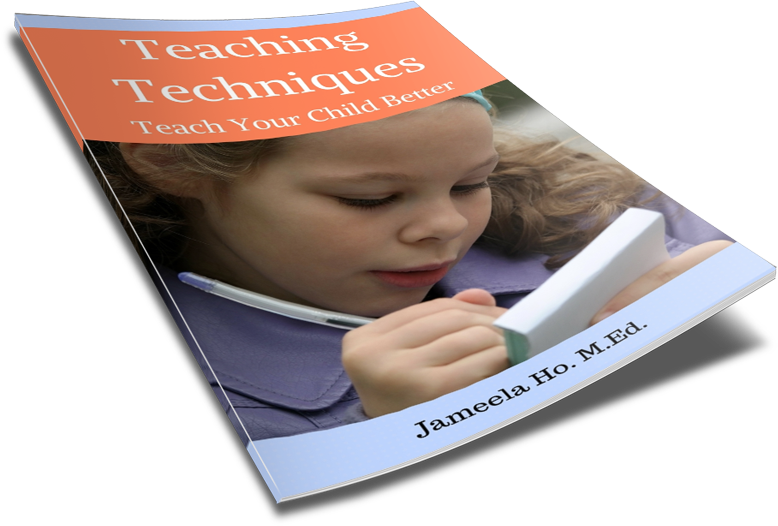 Each time that you lose it with your child, you need to be conscious of the fact that you could be failing your test. What is patience and how can we have it and hold onto it? First, we will look at some examples of patience concerning children. All Prophets were patient. They had to be if they were to successfully convey the message of Allah to people who would not listen. Among them were Prophets whose test was their children. Here are some of them. 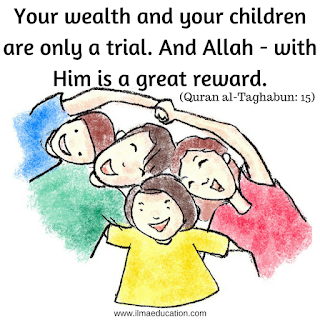 Allah had blessed Prophet Ayyoub with everything - wealth, health, family. So to test him on whether he was thankful and patient or not, Allah took all these things away, even his children. “…Indeed, We found him patient, an excellent servant. Indeed, he was one repeatedly turning back [to Allah]. “ [Quran 38:44]. Prophet Yaqub was another model of patience. When his elder sons threw their brother Prophet Yusuf into a well and brought back a blood stained shirt, he remained patient. Prophet Muhammad, peace be upon him, experienced many of his children's deaths. Of a total of seven children, only one child Fatimah survived him. The Prophet, peace be upon him, was the best in character and he was the most patient. These are our models of patience and as parents we model ourselves from them. In my continuing article, I will show parents how to be patient with your child. Make sure you read that.